Home Page: Opens CCBoot home page. User Forum: Opens icafeman forum. Facebook: Click to visit Youngzsoft facebook to get more information about CCBoot. Bug-Reports: Click to submit a question or bug report to Youngzsoft. Check update: Checks online for any new version that is available. Change Log: Will open the History.txt file to show you the new changes of the current CCBoot application. Remote Me: Open the new "Remote me" window, that will provide you with remote session id. This id is what we require to remote your server. So, you can click the "Remote Me" button to request a remote support session with our technical staff. 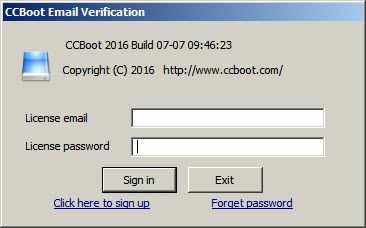 About and Register: Opens "About CCBoot" dialog box that show CCBoot current version information, your license user number and login form for email verification. 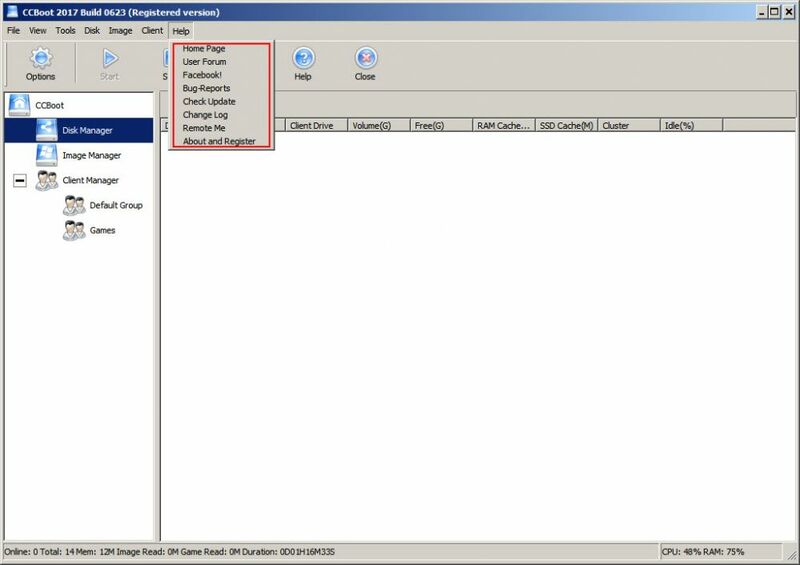 Refer to "Manage license in CCBoot" for signup, login, forget password, etc procedures.